On this day (December 31st) 100 years ago Europe and the world were preparing to put away four years of gruesome war and enter a post-war period, one that held the hope of a permanent peace. Consider what had transpired since August 1914: the Western Front had been destroyed, the Ottoman and Austro-Hungarian empires had collapsed, the Russian Czar had been overthrown in revolution, the French and British lost a generation of young men, and the newly-united Germany was ripped apart at the seams. Peace was eventually purchased at the price of 15,000,000 to 19,000,000 war dead, but was imposed so unevenly on Germany that unresolved resentment led to the outbreak of World War II two decades later. World War I is a lot of things; one thing it is not, for the most part, is comprehensible. Individual battles and people can be deciphered, but the conflict itself is too large and too senseless to fully understand. The war was as an internal combustion engine that used society as fuel and eventually melted from its own output. 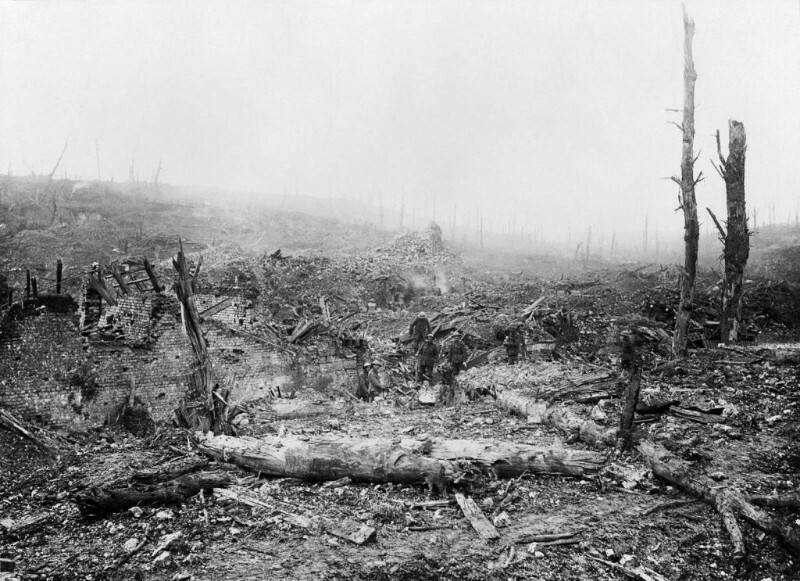 In retrospect, two battles serve as a microcosm of the conflict: Verdun and the Somme. At Verdun, the German strategy was pulled straight from Ulysses S. Grant’s American Civil War playbook: attrition. At this point in the war, it was obvious to both sides that until better, more efficient strategies to break enemy defenses and gain territory could be developed, a war of attrition would have to be fought. At this, the Germans were actually at a disadvantage (as they were throughout the War), having fewer men, defending more territory, and fighting on more fronts than the British and French or Russians were individually. But Germany had recently (1871) been reunited under Kaiser Wilhelm and Otto von Bismarck, and a united Germany makes a formidable adversary in war. The Battle of Verdun lasted 302 days (February 21 - December 18, 1916), saw between 40,000,000 and 60,000,000 shells fired, and produced over 700,000 combined casualties. 70,000 men were wounded, killed, or designated as missing every month for 10 months. It was at this battle where the French said “They shall not pass,” and against the odds stopped the German advance, prevented them from reaching Paris, and imposed higher casualties than either side anticipated pre-battle. The attrition strategy the Germans banked on failed, the French will to fight remained strong, and the Germans were forced to look for another way to win the war. The Battle of the Somme is in many ways the “sister battle” to Verdun. It was originally intended as an offensive front combining British and French forces to push the Germans back and decisively win the war for the Triple Entente, or the British, French, Russians, and Italians as they were called at the time. But when Verdun broke out in early 1916, the strategy shifted to a British relief effort for the French forces at Verdun further to the south. Thus, British forces took the lead and quickly endured a similar fate to the French. The battle was fought on the banks of the River Somme, with little territory changing hands across the course of battle. The battle is notable for the technological advances it employed, such as the use of tanks, but also for the deep and impenetrable German defenses. It also stands out for taking the meat grinder model used at Verdun and turning it on overdrive. 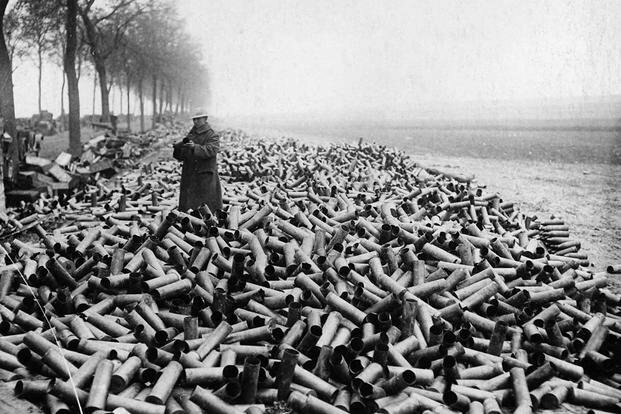 The Somme was fought in about half the time of Verdun (140 days), and yet produced more combined casualties (1,600,000), a comparable amount of shells fired (37,000,000), and did not end the war. On the first day of battle, the British endured 57,470 casualties, of which 19,240 died. By the end of the battle, British forces had only gained six miles of land. But the Somme accomplished one thing that Verdun did not: it forced the Germans into a defensive posture for the rest of the war. Now, instead of gaining territory and fighting for a victory on their terms, as they had from 1914, the Germans were fighting for favorable peace terms from the Allies. What makes these battles, and by extension the war, so unfathomable, is their staggering casualty numbers, lack of tactical necessity, and muddled objectives. One hundred years after the fact, it is still difficult to determine what, exactly, the war was fought over. It seems fair to say it was a traditional European conflict with traditional European ends in mind: the Germans were trying to take territories on their eastern and western borders (as they did in World War II) and possibly extract some colonial possessions from the British and French, since their homegrown territories were comparably small. But these historical objectives — most European wars were fought for similar reasons — ran up against mechanized, modern warfare and produced casualties completely disproportionate to the aims of the conflict. That is why, in one sense, trying to understand the First World War is so difficult: why did almost 20 million people die for some relatively minor territorial gains and overseas colonies? It barely registers, even today. World War I was a traditional European conflict in another way as well: Americans were reluctant to get involved. The good vs. evil aspect that was so clear in World War II was lacking in the first war, and Americans of the time viewed it as a European conflict that had to be sorted out by Europeans. And for the most part, they had a point: the United States had no interlocking NATO-style treaty with the British or French, and they had no immediate interest in seeing the Triple Entente “win” vis-a-vis the Germans. What difference did it make to Americans, for example, if Germany held colonies in Southeast Asia as opposed to, say, the British? But when the Germans began to conduct unrestricted submarine warfare and killed hundreds of American citizens on the sea, and when they offered to return American possessions to Mexico if they entered the war on behalf of Germany, the United States (rightly) began to believe that a victory on Entente terms was a more desirable outcome to the conflict. But the Entente powers were quite literally running out of manpower to produce an outright victory and the war was beginning to settle into a stalemate. Thus, on April 6, 1917, the United States declared war on Germany. By the time the war ended about 19 months later, 10,000 fresh American troops were landing in France every day and 2 million soldiers were stationed in Europe. United States entry into the war assured an outright Ally victory that most likely would not have been possible without American troops. But with that victory came difficult peace terms for Germany, resentment from German military commanders, and eventual scapegoating of the Jews that led to the Holocaust in World War II. World War I ‘broke’ Germany and for various reasons led directly to the Second World War in 1939. World War II was a total war for a reason: this time, the Axis powers had to be crushed on the most micro-level possible in order to prevent a third conflict from happening. More than 100 years later the War to End All Wars it seems as incomprehensible as it did on January 1, 1919. Modern, mechanized warfare went head to head with traditional European concepts of war and destroyed the Western psyche in the process. Romantic notions of war, established in the Napoleonic Wars of the early 19th Century, were dismantled with every battle, casualty, and shell. And an entire generation of young men — the Lost Generation — was killed for insignificant territorial gains and an unresolved conflict. By 1919 the world was permanently changed politically, economically, and socially. In the end, World War I put to rest one age, and set in motion the world we live in today.